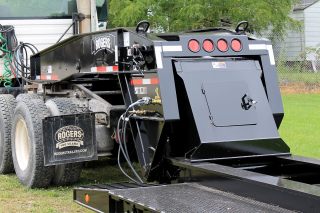 The ROGERS CobraNeck Series CN55DS is a severe-duty 55-ton capacity lowbed semi-trailer that features drop side deck for the lowest possible loaded deck height and the "CobraNeck" gooseneck which adds readily adjustable deck heights along with ease of operation. 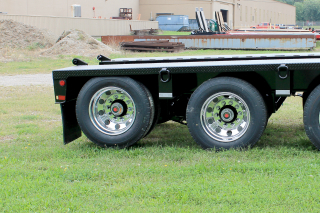 The trailer is designed with a full capacity load concentration in one half the deck length for many years of worry free operation. 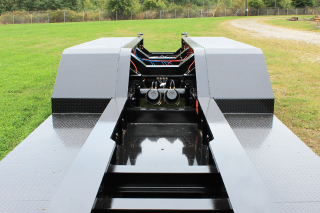 The drop side deck features a 15" loaded height and tapered front slope for easy loading and unloading of equipment. The full-depth "Bucket Pocket" at the rear of the platform deck facilitates hauling of excavators and similar machinery. 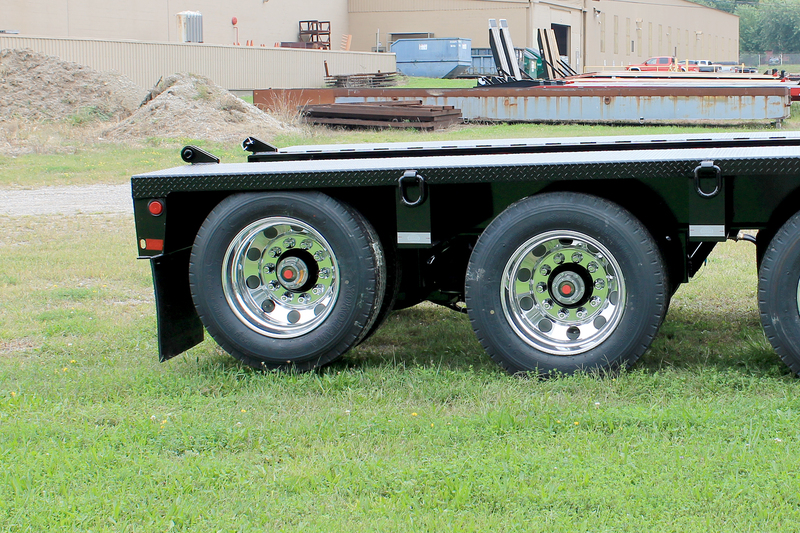 This model is also structurally designed to be used with a removable/flip 4th axle when required. 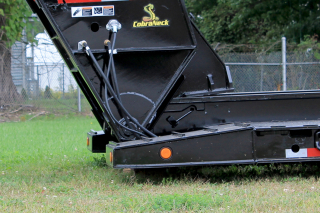 Tapered front slope makes loading of machinery safer and easier. Full-depth "Bucket Pocket" with extra wide opening allows loading of excavators to minimum overall height possible. 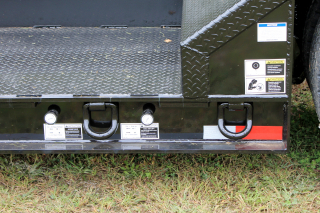 Air valves for 3rd axle air lift and suspension dump valve are conveniently located at the rear curbside of the trailer deck for easy access. 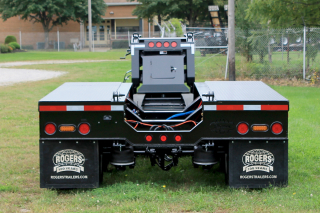 Air lift on 3rd axle allows the trailer to be operated as a tandem when empty of lightly loaded. 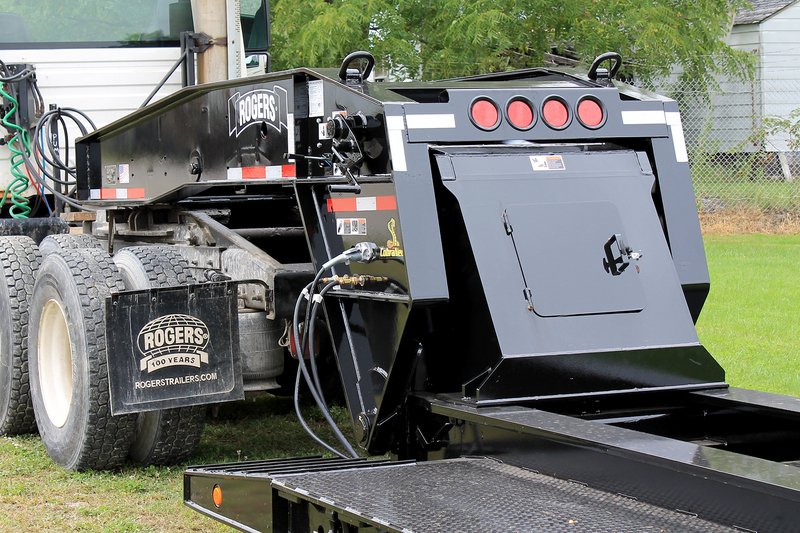 "V" Style lowered cross beams in the trailer rear frame provide lower loading profile for excavator booms. 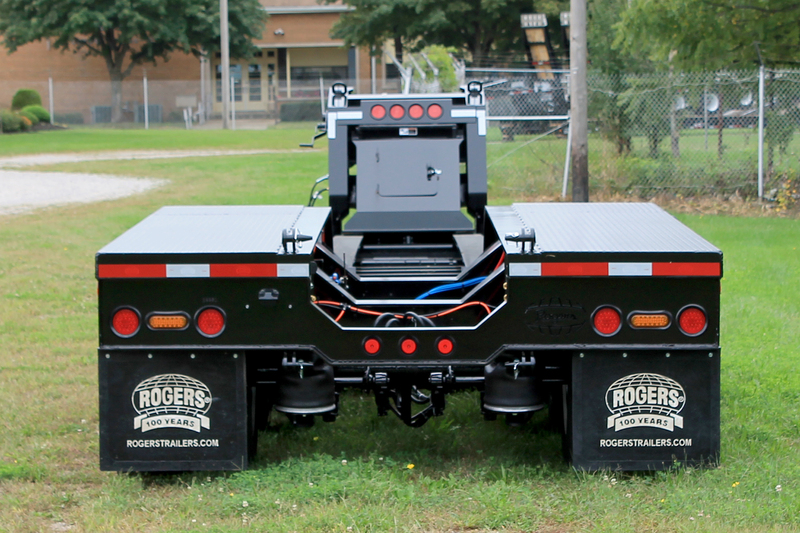 12v LED lights are standard equipment and LED strobe lights with toggle switch are available.